Over on Life as MOM this week, I shared about our fourth baby’s delivery and the things I’ve learned from motherhood. It was a close call. He was almost born in the car, the ER, and the elevator. But, we made it — with minutes to spare. It was a crazy time. You can read that post here. Also, significant of that birth was it was the first time that I planned ahead for good eating while I was in the hospital. I gave a close friend the care of my other three kids as well as instructions on what to pack in a cooler so that I could eat well. I cooked ahead so that she wouldn’t have to, but I could eat some yummy stuff while I was stuck in the hospital. 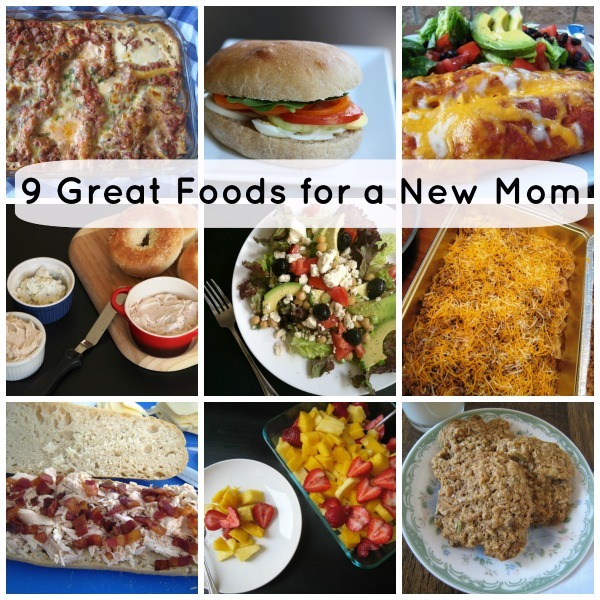 In case you didn’t know, new moms are ravenous. Buttered toast never tasted as good as it did after the birth of my first baby when a nurse brought me something to eat after a 24-hour labor. Pack a cooler with these goodies. Be sure to include lots of fresh fruit — the more fiber the better! Bottled water and her favorite juices will help keep the new mama hydrated, too. 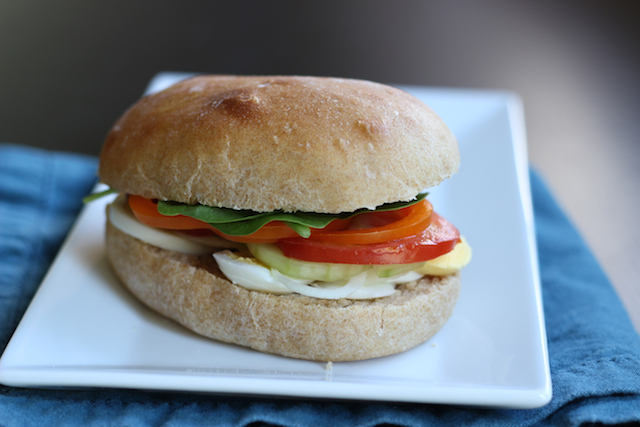 These Egg Plus Salad Sandwiches pack super well, just leave the vinaigrette on the side so the bread doesn’t get soggy. They are fresh and light, but can give new parents the fuel they need to care for the new bambino. 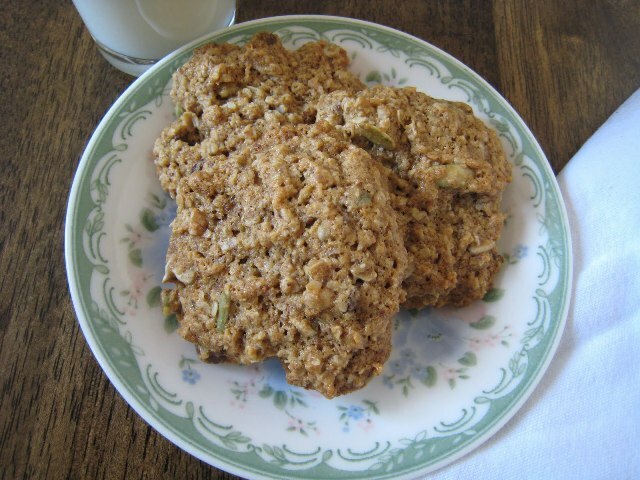 As a new mom, I devoured these Breakfast Cookies by the dozen. They freeze well, pack well, and taste, well, delicious! Be sure to pack extra for older siblings so they don’t snag Mom’s. While a stop at the bagel shop on your way to the hospital is certainly convenient, the schmears you might buy are full of additives and way too expensive. 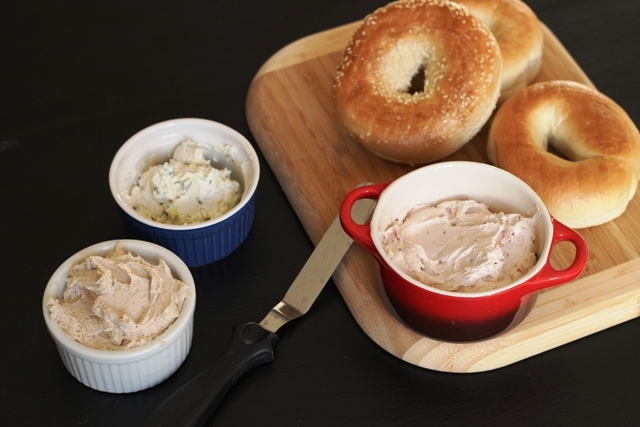 Make your own Homemade Flavored Cream Cheese to supplement bakery bagels. Be sure to bring fruit along or sliced tomatoes and cukes if you’re bringing a savory schmear. Bonus points for bringing whole grain bagels. Hospitals vary in the restaurant services they offer. With my girls, I had awesome room service any time of day. Made me want to have another baby just for that stellar treatment! Not all new moms have the same great service or food. 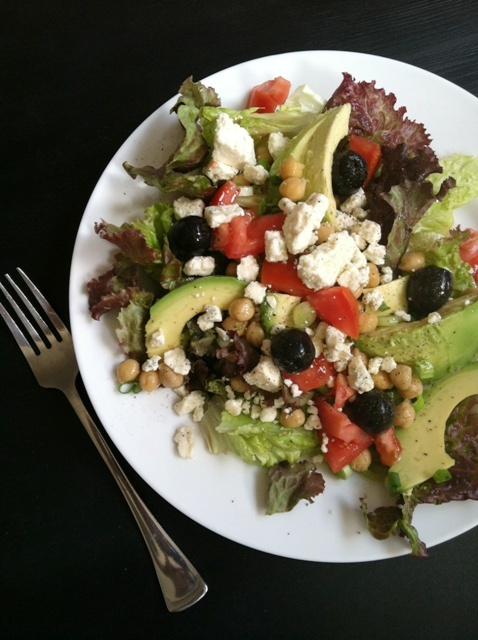 Bring this salad, my Go-To Salad which is full of flavor, fiber, and healthy fats. Make it a little “more” by tossing on some hard-cooked eggs or grilled chicken. One of the biggest challenges I faced once I was home, was keeping my other kids fed and happy. While I loved the 2-weeks of meals that friends and church members provided, the kids were less than pleased to eat someone else’s “weird food” every night. Props to my sister and others who made my own recipes for my kids! I have yet to meet any kid who didn’t love Lawnmower Taco. It’s Mr. Picky’s favorite dinner. Be sure to ask your friends how they feel about spicy foods postpartum. You can tone down the taco seasonings and pack salsa and salad on the side, so that folks can make it as spicy as they like. Bonus: You can make this, freeze it, and stash it in your friend’s freezer, so she has it to enjoy when she wants it. 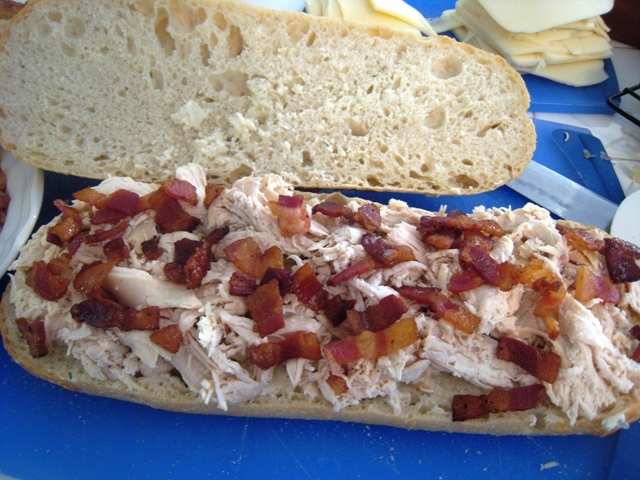 It’s so exciting to hear that this Chicken Bacon Sub recipe is a regular on my readers’ tables. It is so easy to assemble and freezes really well. 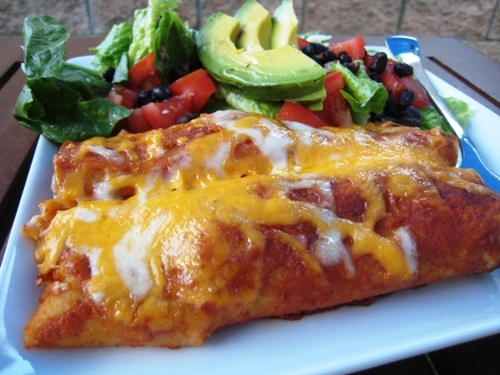 Take it hot with a salad on the side, or take it frozen so they can reheat when they like. Just be sure to attach reheat instrux. 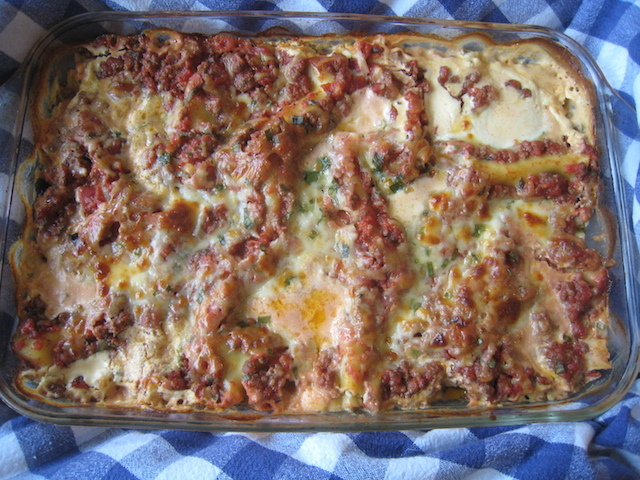 A good lasagne is a beautiful thing. This Fresh Basil and Garlic Chive Lasagne is one of those beautiful things. Rich and flavorful, it also freezes well, so you can take it as a gift for later or one to serve that night. Yummy! 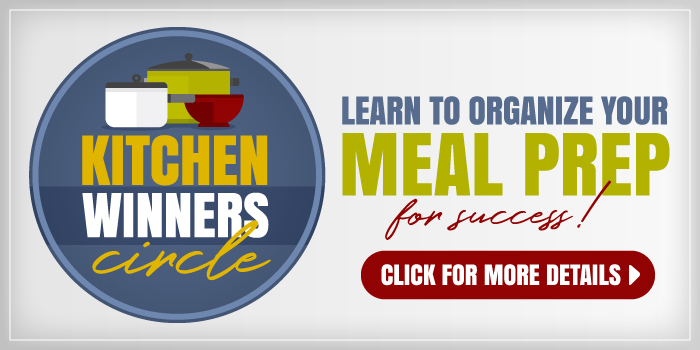 Be sure to bring a supply of fresh fruits and vegetables already prepped and ready to eat. 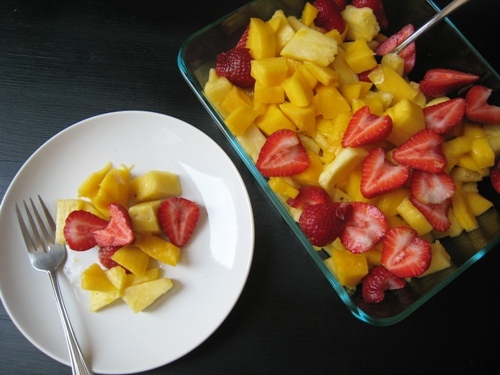 This Easy Fruit Salad is a great one as is a Super Easy Veggie Tray. 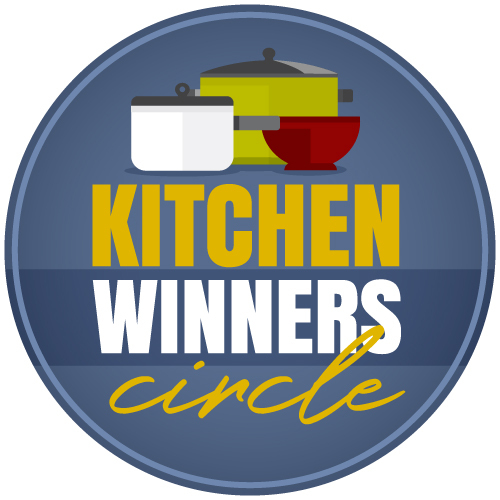 Do YOU have a favorite dish to deliver? 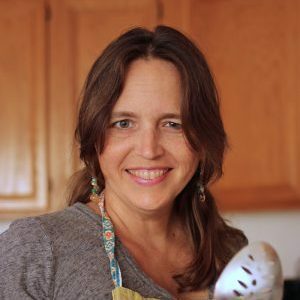 I love to bring a chicken pot pie (mild and always tasty), salad, fruit and some sort of dessert. If I have time to cook I’ll make something like brownies and if I don’t, I’ll get some store bought bakery cookies or sherbet. Sounds yummy! Chicken pot pie is a favorite around here! I usually bring a something for that day like chicken & rice, stuffed shells, or chicken divan along with a salad or fruit salad and dessert like cookies or brownies. Then I also take the new mom something frozen for them to use at a later date, when it has been “one of those days”. 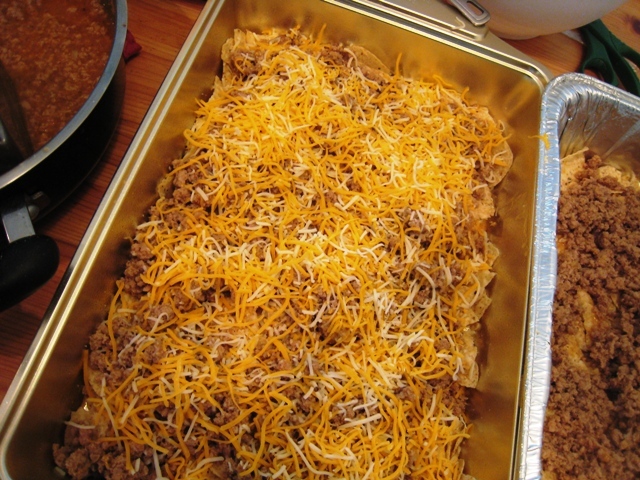 I will bring frozen taco meat along with tortillas and cheese, or frozen BBQ beef or pulled pork, something they can just pull out of the freezer and use easily with little prep. I almost always avoid pasta dishes. With my first son so many friends blessed us with delicious pasta dishes which I love but after friends bring multiple 9×13 trays of pasta Mama starts going into a carb coma! I like to make new moms quiche which can be enjoyed for any meal. I also often make soups and snacky things like homemade kettle corn and muffins. Sometimes Ill throw together homemade playdough for older siblings. With one baby every meal we got was lasagne or enchiladas. It was really interesting to compare recipes, but yes, it got a little old. Love the idea of playdough for the sibs.